How Much Weight Can I Grow? Is the weight grown by your recreation plants the same as purchased? 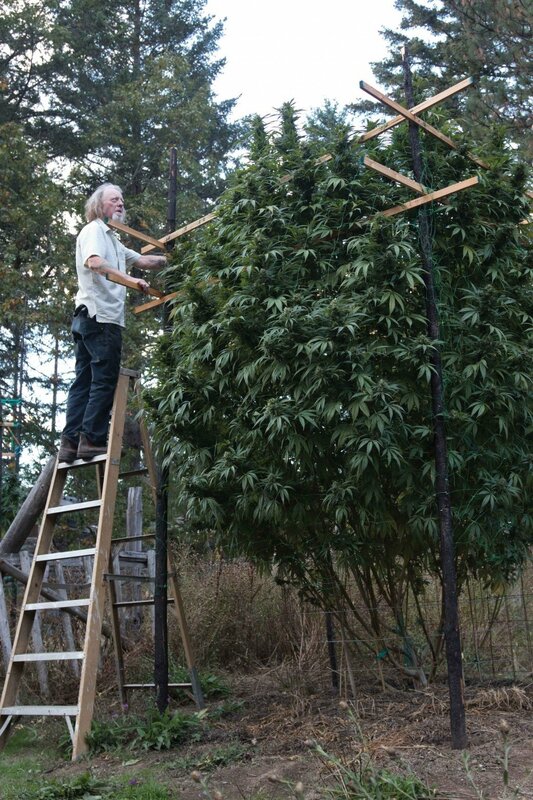 a) one has no clue how much cannabis is on the plant while its growing. would hate to see all these nice folks, accidentally growing over there limit. b) What about wet flowers? ~75% of the flower is water content when harvested. That means you would need ~490grams or 17.5oz (wet) to get hit your 10oz mark. All while being technically over your limit. I read an article where a lady was busted over here limit because they weighed her buds in the middle of harvest so she was over her 2.5oz limit. I sincerely think they need to rewrite the laws for growing weight. Its easy to guarantee 10oz of dried purchase (gifted) cannabis. but try guaranteeing 10oz or less on a outdoor grow or even a 1000w light. I got 10oz from a 2' W x 4' L x 3' High plywood box I built a few years back on a 12bulb t5 mix. I don't know anyone growing in those tight of spaces. Everyone is grabbing 3x3, 4x4 + size tents and 600w-1000w lights. How well do think they are going to do staying within the legal limits? Would be safer for us Michiganders to be free to grow however much we want for weight, limit purchase weight (I don't know why that matters either after 10oz's. After 10oz might as well ok a couple pounds. 10oz isn't a tiny amount in retrospect) and give us the freedom to build are familys a future in our homes and on our properties. Or just grow some good dank. Without worrying about being over our limit and going to jail. Any weight limits are for dried product. Weight does not apply while on the living plant or while in the process of drying/curing. Here is some more inspiration. Imagine having this in your backyard. Just keep it to 12. 2019 is going to be very interesting here in Michigan. I read that there's a 60-80% chance el nino will give us an early spring and warmer than normal summer weather. 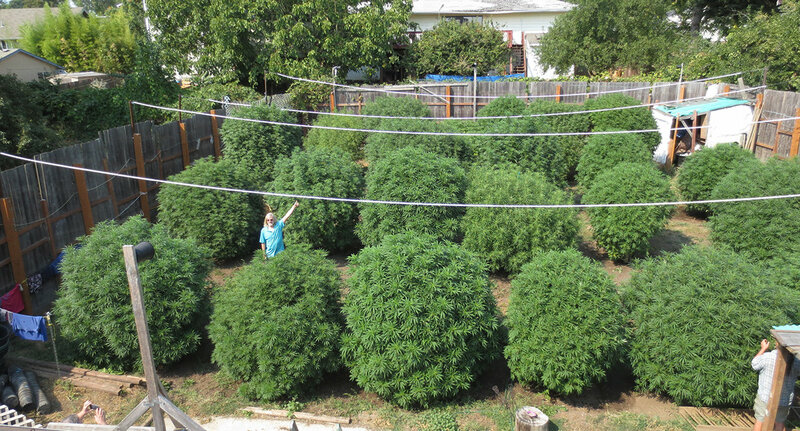 I would be happy with one of those plants! I'm a fruit grower too, so I'm praying that El Nino doesn't bring us an early spring. So I can have 100 lbs of fresh frozen? Lastly the writen law says 10oz on your residence. If that was the case just 1 of those plants will throw you well over your limit. This is what I fear. Everyone new to this will be growing 12 outside and everyone will be over their limit and be at risk issues with the law. Realistically their going to have to get rid of our weight limit and allow us to sell our overages to rec facilities, processors or to whoever. This is after all a money game for the politicians for tax revenue. More product = more tax revenue. Never fear. You don't go to jail if they can't prove you cheated growing more than 12. Or catch you selling it. You can have as much PERSONAL as you grew off your 12 plants on the residence. If you want to make a good case then take pictures of your trees. Things are much better now. There's no way you are going to be able to sell it to the dispensaries though. Why would they let you around their money making machine? You didn't pay the bribe to grow did you? Then it's just personal, for personal use, not for sale. Am also growing a lot and happy with them.